We've featured Gabriel Stark many times in the past, for good reason—the New York emcee doesn't limit his style to a single genre and has experimented with the sounds of hip-hop, pop, and indie, allowing listeners to develop a better and more thorough understanding of his message. Though the lighter sounding tracks were a nice change of pace, I've always appreciated Stark's darker and more robust direction. His newest song, "Gutter", is perfect example of this venture. Filled with the dominant sounds of trap music and some clever wordplay, "Gutter" is the kind of track that your subs yearn for. The video for the track also gives us a hilarious interlude around the two-minute mark. 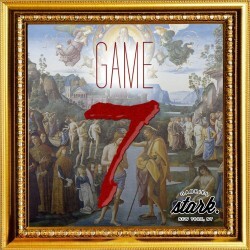 "Gutter" is the first video to be released off of Stark's newest project, Game 7, which should be out real soon. Make sure to hit him up and show him some love.